05/20/18 - *UPDATE* - Finally in a position to focus on finishing this gallery with the one group shoot that remains - The Colonial Fleet. Will be working on that in the coming week or so. Their Sunday morning images begin at #235. 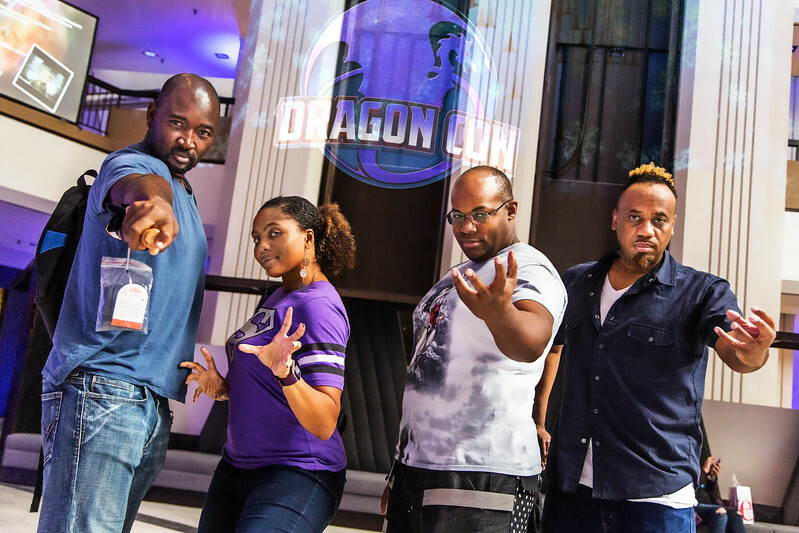 Got this gallery started with a shot of a super group of tight friends at a by-invite-only shoot at Dragon Con on the evening of Pre-Reg Day, Thursday - Titans: Rebirth - shot on the Hilton Patio in the ATL with the new set of stairs as a backdrop. I appreciate the value of the underside of these stairs as a photographer. Good to cut background clutter as well as a creative backdrop for fill and gelled lighting. I was in the ATL for just under a week. Had to cut it a day short due to a serious leg injury.